For 2019 I’m planning a West Coast USA road trip throughout California and I’m hoping that San Diego will be on the list for one of the cities to visit and so I’ve been researching the best ways to spend a few days there. 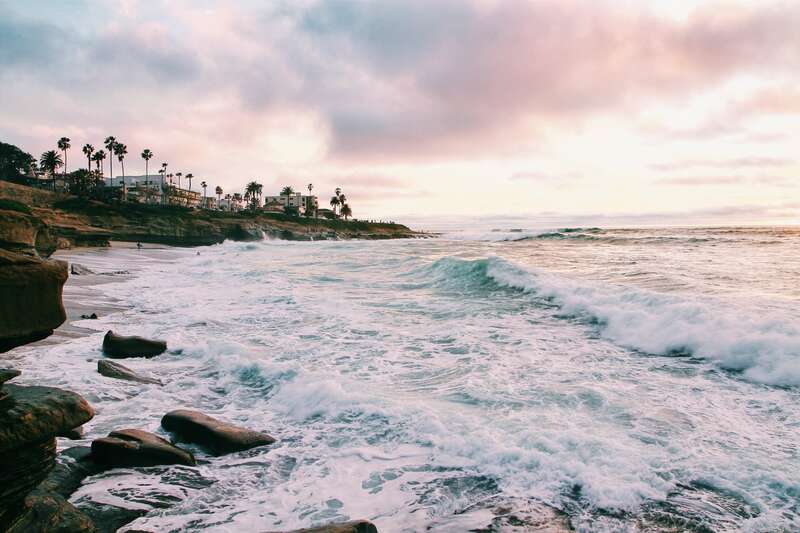 San Diego is well known for its beaches, parks and warm climate so it sounds like the perfect place to chill and spend some time exploring the coast, after the bright lights of LA and exploring the hipster scene in San Francisco. First thing’s first – you need to sort out where you’re going to stay in San Diego. I really like the look of renting a villa near the beach. I love staying in villas and holiday lodges as it’s a lot more laidback than staying in a hotel – you don’t need to be out for a certain time of the day and you can really just do what you want to do. There are plenty of vacation rentals in San Diego and I would pick one with a sea view. Imagine having your breakfast and a coffee overlooking the Pacific Ocean – absolute bliss! If you’re already in the USA and you’re just planning on having San Diego as one of your stop offs, then it’s super easy to get to. Internal flights will set you back around £80 and it only takes about two hours to drive there from Los Angeles – an ideal distance for a fun road trip! Mustang or Cadillac not optional. Flights from London are about £350 each way direct (I checked for this May and British Airways actually works out as one of the cheapest airlines) and it takes about 11 hours to get there, so make sure you’ve got plenty of in-flight entertainment at your fingertips. There is no shortage of things to do in San Diego, including plenty of museums, beaches and parks. Here’s the things that I’ve got on my list for when I visit. Balboa Park is home to 17 museums, performing arts venues, gardens, trails and the San Diego Zoo, so it’s unlikely you’ll get bored spending a day here. With 150 days of sunshine and a further 115 partly cloudy days, I’d like to spend as much time exploring outside as I possibly can, so that I can work on my tan. There are miles of hiking trails in Balboa Park and walking is one of my favourite things to do while I’m travelling. It’s a great way to explore the local area and get a bit of exercise in. One thing that I’d be keen to do is the California Tower tour. The California Tower at the San Diego Museum of Man had been closed to the public for 80 years but it’s now open for tours which last around 40 minutes. From the viewing deck you get fantastic views of southern California – perfect for practising your photography skills. According to Wikipedia, La Jolla Cove is a small, picturesque beach, surrounded by cliffs. It’s also the best spot in San Diego for kayaking, snorkelling and diving which makes it number one on my to do list for the area. It’s also one of the most photographed beaches in southern California, making it perfect for those Instagram pics. The water at the beach is super clear, making it ideal for spotting marine life when snorkelling – visibility at its highest can sometimes exceed 30 feet. 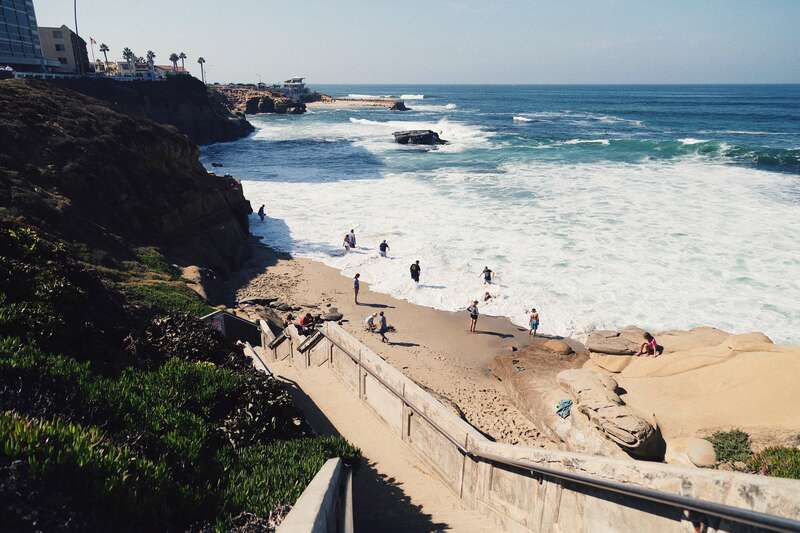 It’s also part of the San Diego La Jolla Underwater Park Ecological Reserve which means that removing fish and sealife from the beach is illegal. This maritime museum is actually an aircraft carrier, Midway, situated at Navy Pier. It’s recommended that you put aside at least four hours for your visit to the USS Midway Museum as there is just so much to see. Here you can take a self-guided audio tour, which is probably my favourite way to see an attraction, as you can go at your own pace and spend as much time at each exhibit as you want to. Apparently there are ladders to climb and over 20 aircrafts on the flight deck which sounds really interested. You can’t get much more American than catching a baseball game. I’ve never been to one and it’s definitely on my bucket list. San Diego’s team are the Padres and I’d like to do the cliche of ordering a hotdog and seeing it get passed down the line to my seat…and, that’s pretty much all I know about baseball. If you know about as much as I do, there’s an idiot’s guide to the sport here. San Diego is known for its Mexican food, due to it’s close proximity to Mexico, so fish tacos and burritos are on the menu – which is more than fine by me. There’s also plenty of seafood available in San Diego’s many restaurants as well as wood-fired pizzas. I like the look of The Good Time Poke and The Grass Skirt – two restaurants under the same roof. The former offers a daytime menu of poke bowls with top quality seafood and the latter serves well-crafted tiki cocktails and Asian fusion food in the evening, like housemade pork belly buns. For Mexican food with a social conscience, Tacos Libertad looks ideal. This place serves woodfire-grilled tacos on homemade tortillas and they donate at least $3,000 to charity every single month. So you don’t have to feel guilty about eating that extra taco. If that has whet your appetite (pun more than intended), then there’s a bit more restaurant inspo here. Have you been to San Diego? Let me know your top tips for the city in the comments below! Great Post on San Diego (In Ron Burgundy Voice) ! Are there any kayaking tours at La Jolla Cove? Haha love it!…and yes there are!